Our dedicated support team is available to all Gigabot owners for the lifetime of their product, free of charge. Your Gigabot Parts Kit should arrive in two boxes, one large box and one bed plate box. After reviewing the contents of the box, be sure to grab a friend and start assembling your Gigabot using our helpful docs. 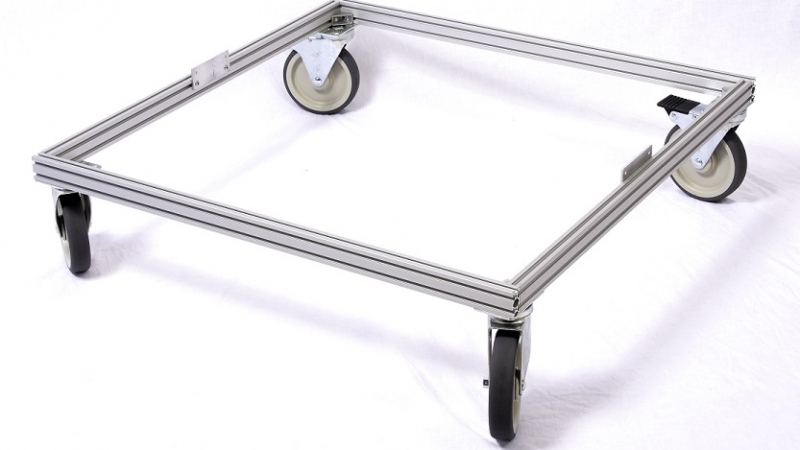 Your Fully Assembled Gigabot should arrive straight to your door in wooden crate, packaged on casters. Simply remove from the packaging, plugin, and follow calibration steps to start printing! If you’re new to 3D printing, start out on the right foot with on-site training for your team with a re:3D engineer. This hands-on workshop covers basic skills such as bed leveling, calibration, and the general 3D print workflow, as well as more advanced skills like how to identify and troubleshoot issues with your Gigabot to ensure you are achieving the highest-quality prints. The re:3D Parts Guarantee covers replacement parts for your Gigabot due to damage and normal hardware wear and tear. By purchasing this guarantee, you won’t have to worry about maintenance of your Gigabot. Based on your needs, one, two, or three year plans are available. The Parts Guarantee package is available for purchase within 60 days of placing your Gigabot order. Looking to have a stash of backup parts on hand for your Gigabot? The Gigabot Replacement Parts Bundle includes all of the parts from your Gigabot that will need to be replaced due to normal wear and tear, so you have them when you need them. The bundle includes one extruder (two for dual extruder), one Azteeg x3, one Viki interface, two motor drivers, one single or dual heater, one thermocouple daughterboard, one X/Y Upright, one spare fan assembly, one left hot end (and one right for a dual extruder), jumper cables, one TC1 thermocouple (and a TC2 thermocouple for a dual extruder), and two Y and Y axis carrier supports. For our heavy filament users, we have a plan that keeps your Gigabot’s spool full without you having to think about it. With customized subscription plans, we provide for your filament needs that get filament delivered to your doorstep every month. To subscribe to the Frequent Filament Plan, your Gigabot must use three 5 lb. spools or two 15 lb. spools per month, for 3 months at minimum. Where can I find models to print? Gigabot uses standard STL files. Every major 3d modeling software can export to this format. There are a couple of free options out there: tinkercad, 123d design, trimble Sketchup, and lots of not-so-free ones: Solidworks, Inventor, Rhinoceros. Alternatively there are plenty of websites out there hosting free models and some that are paid. How do I update the firmware on my Gigabot? To update your firmware, please follow the guide provided on the re:3D wiki. The latest release of firmware for your Gigabot version is available here. My Gigabot has stopped mid-print! It’s most likely that you are printing via USB from your computer. There are a number of computer processes that can interrupt a print. Make sure to turn off any auto-updates which may restart your computer. Also turn off sleep mode, and screen savers. Using other processing intensive programs can also contribute to an interference. Ultimately we really recommend using the SD card function from your Viki and unplugging from the computer altogether. This will eliminate any potential issues from interference. What software workflow do I use with Gigabot? Simplify3D is user-friendly software and a highly recommended tool for optimum output of 3D prints on Gigabot. Using this software, re:3D engineers develop material printing profiles and use this workflow to adjust settings for a wide variety of materials on Gigabot. re:3D is a Simplify3D software reseller and as a result, the Gigabot printing profile is available through the software package download. Simplify3D is a one-time purchase for two licenses at $149. There a few options out there; the open source versions available are pronterface as a printer interface, and Slic3r as a slicing engine. Another version available is Repetier, which combines Slic3r with it’s own print interface. No matter which program you chose to use for your Gigabot, don’t forget to download the presets from the wiki site. What printing surface is best for Gigabot? Print in Z is a 3D printing surface that replaces the need to use blue painter’s tape. Helps with print adhesion as well as overall print quality. Print in Z is available from shop.re3d.org for $135. If you have a heated build plate, now is definitely a good time to use it! We’ve seen popular community alternatives such as blue painters tape, Kapton tape or Buildtak. Print in Z is a great all-around print surface for anything from simple to extremely difficult print jobs and is available in the re:3D store! How big can Gigabot print? Gigabot has a workable print volume up to 590 x 600 x 600 mm / 23.2 x 24 x 24 in ; (212,400 cubic cm) – providing plenty of room to print your dreams! 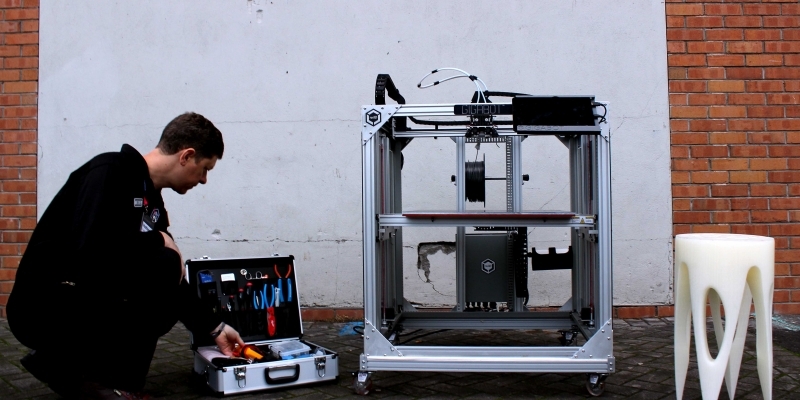 Compared to other industrial 3D printers, Gigabot is still 3-4x more affordable than it’s alternatives. How large and heavy is Gigabot? The total weight of Gigabot is about 120 lbs. Gigabot has a footprint of 48″ high, 34″ wide, 40 1/2″ deep (without spool). 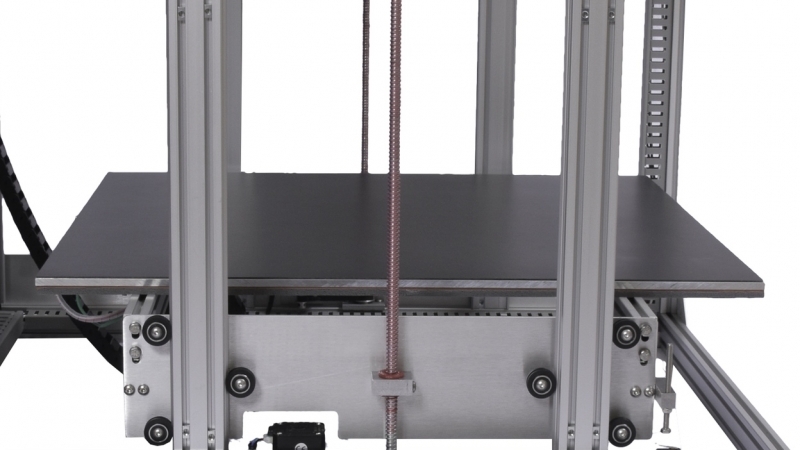 With filament, there is additional weight and the depth of the bot increases to 46″. How fast can Gigabot print? Gigabot can print at over 100 mm/sec. By comparison, an iPhone 5 case takes ~40 minutes and a large vase using the entire build volume can take up to 20 hours. Print time depends on several factors including layer thickness, object density, infill pattern and the geometry of the object. 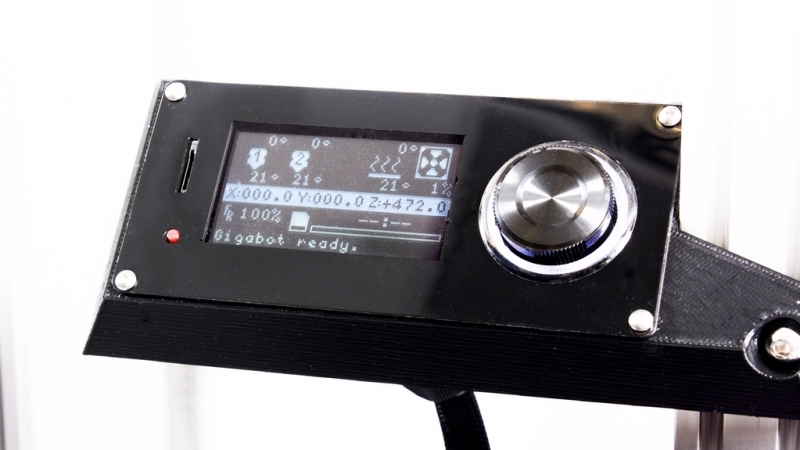 Gigabot is designed to be as simple as possible, but no simpler. 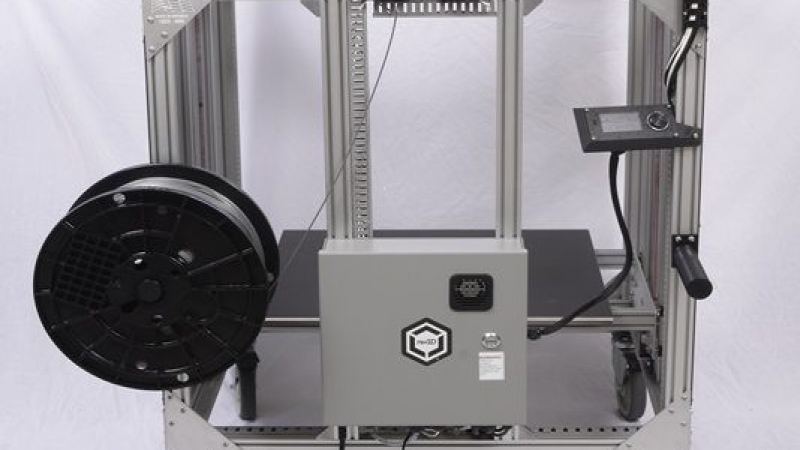 Taking inspiration from agricultural equipment, architecture and the aerospace industry we feel the Gigabot provides the most robust platform for your 3D printing needs. There are very few moving parts to break or wear out. High quality components are used throughout the machine and all custom machined components are made in-house for the highest quality control. How much does it cost (electrical cost) to operate the machine for an hour? Gigabot uses only 150 watt when the heated bed is off and up to 950 watt with the heated bed on. If the cost of electricity is $0.10/ kWhr then operating cost for electricity would be between 1.5 and 9.5 cents/hour. Gigabot’s motors and electronics resolve linear position to 4 microns in X and Y and 2.5 micron in Z. Gigabot can print 100 microns layers. The smallest print you can create is a single dot, 650 microns. Gigabot is repeatable to less than 0.2mm. What type of hot end do you use? Gigabot currently uses the re:3D All-Metal Hot End capable of temperatures up to 250°C. It is an extremely reliable hot-end which comes standard with a .4mm nozzle. 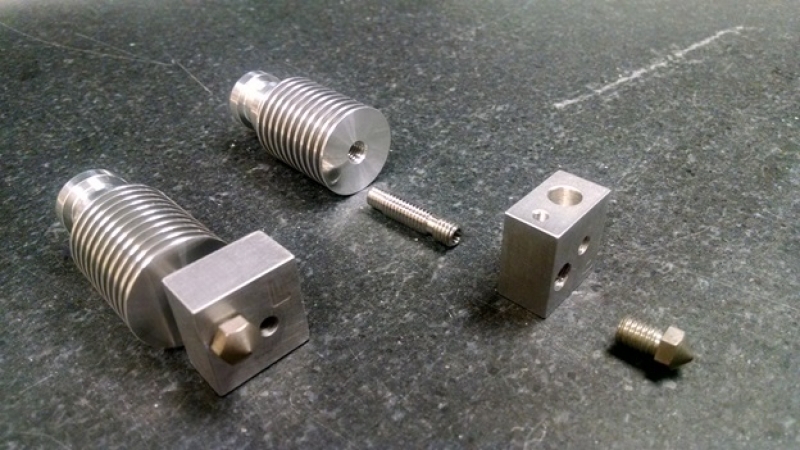 Alternative nozzle diameters are available from the re:3D Store. The original Gigabot (pre Gigabot 3.0) uses the J-head hot end seen at http://reprap.org/wiki/J_Head_Nozzle with 0.5mm diameter orifice. Does Gigabot have only one extruder or multiple? Can more than one be installed? Gigabot 3.0 introduces dual extrusion print using two direct-drive extruders, loaded up with a re:designed cold-end, assembly, and high-temperature re:3D hot-ends. Tested and verified through countless prints in-house and with Gigabot 3.0 beta super-users. As part of our commitment to ensure your Gigabot is never obsolete, a complete GB2 to GB3 upgrade is now available as a retrofit kit. Capable of printing any thermoplastic melting below 350C, this all-metal extruder opens the door to a wider variety of materials, including high-strength and high-temperature filament. The re:3D all metal extruder provides a considerably longer lifetime than the previous model – roughly quadruple (2000hrs vs. 500hrs). Can Gigabot operate on 110v or 220v? Is the software Gigabot runs on open source? The current version of the Gigabot has incorporated several open source packages, the most notable being the Marlin firmware on the controller board. We encourage the use of Simplify3D on the user-interface side, as there is optimal customer support and high functionality. Simplify3D can be purchased as an add-on package with Gigabot. While Simplify3D is feature-rich, Pronterface and Slic3r are open-source tool options. Will my Gigabot run overnight? What happens if I run out of material? Gigabot can run unattended. 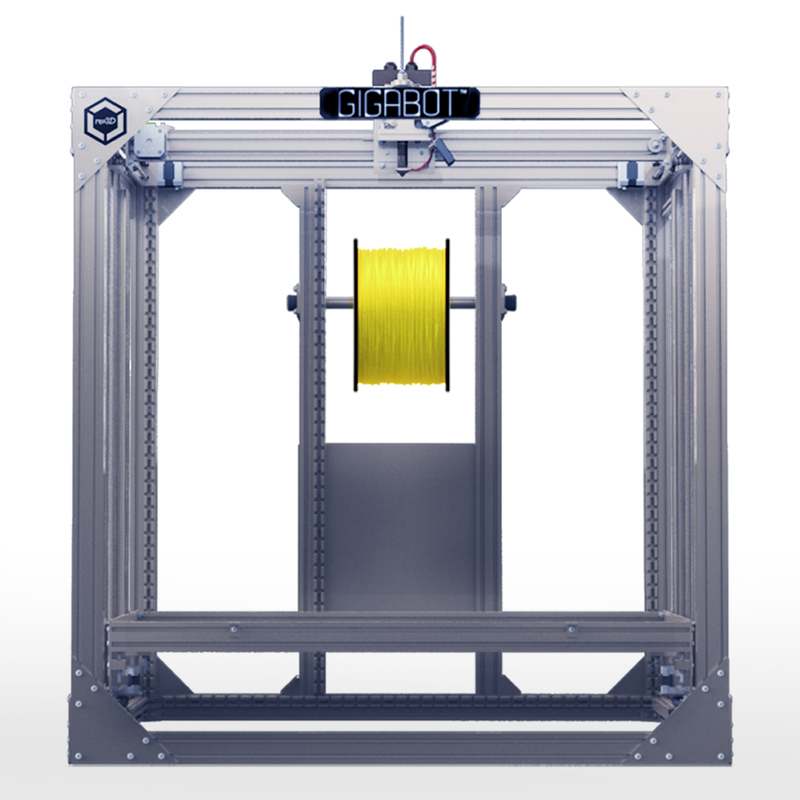 Our longest print to date is 122hrs (or 5 days, 2 hours, and 44 minutes). Using the Filament Detection feature released on generation Gigabot 3.0, your Gigabot will pause mid-print and wait for user input when it runs out of material. Your Gigabot references X&Y axises resume printing and your Gigabot will resume printing! However, Gigabot will not automatically detect all faults or failures and please keep in mind that high temperatures needed to melt plastic can also cause fires. So do please use caution. What are the specific parts in the pre-assembled Gigabot that are assembled? Once you receive your Gigabot, the only steps necessary are calibration by leveling the bed, and fine-tuning the extruder. Every Gigabot is covered under warranty for 3 months, which means that all replacement parts are free of charge, whether it’s damage due to normal wear and tear, user error, or faulty parts. After this 3 month period, these extended warranty options will cover all your replacement parts for Gigabot. Extended warranty options and maintenance plans are available up to 3 years. Quote valid for 30 days. Payment to be made in full in advance in order for product to ship. 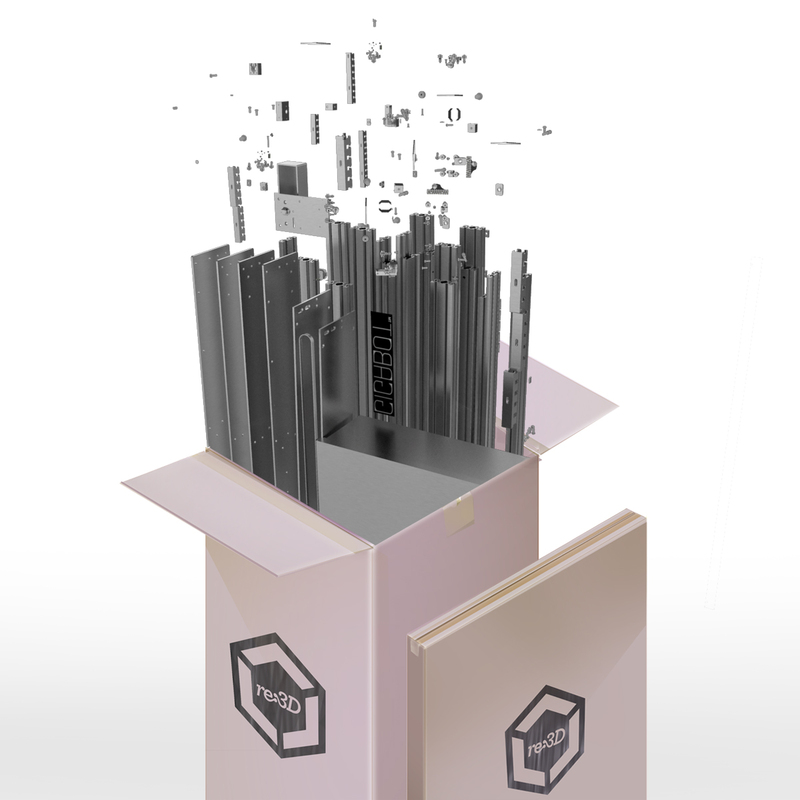 Refused Gigabot shipments will be charged return shipping and a $1000 restocking fee. Orders paid with a credit card or PayPal will be charged a 3% processing fee. Duty & tax are obligation of buyer. If this transaction involves an export of items from the United States (including, but not limited to, commodities, software or technology) subject to the Export Administration Regulations, such items were exported from the United States by Seller in accordance with the Export Administration Regulations. Customer agrees that it will not divert, use, export or re-export such items contrary to United States law. Any diversion of an item contrary to US law is strictly prohibited. Customer expressly acknowledges and agrees that it will not export, re-export, or provide such item(s) to any entity or person within any country that is subject to United States economic sanctions within the control of the Office of Foreign Assets Control without obtaining prior authorization from the United States Government. All products may be returned within 30 days of receipt of the item. Items that are returned within 15 days of receipt in unused condition shall be subject to a full refund. If the item is returned within days 16 through 30 or in used condition, there will be a 10% restocking fee deducted from the refund. All Final Sale merchandise cannot be returned. Other nonreturnable purchases include digital content, gift packaging, memberships, completed services, consumable items including 3D printer filament, and items returned that are damaged, unsanitary or missing major contents. We warrant the Gigabot against defects in materials and workmanship under ordinary use for 30 days from the date of receipt. This limited warranty applies only to hardware components of the Gigabot that are not subject to accident, misuse, neglect, fire or other external causes, unauthorized use, alterations, or repair, installation or enabling of unauthorized software or services, unauthorized alterations to the Gigabot or unauthorized resale. If we elect to do a replacement of your device, we will place the cost of the device (the then prevailing MSRP plus tax) hold on your credit card. We will charge the full retail price of the replacement device if we do not receive your original device within 21 days of delivering your new device. Information has been carefully checked and is believed to be accurate; however, no responsibility is assumed for inaccuracies. Re3D reserves the right to make changes without further notice to any products to improve reliability, function, or design. Re3D does not assume any liability arising out of the application or use of any of its products; neither does it convey any license under its patent rights of others. Does filament come with the Gigabot? We send a 5 lb spool of PLA with your Gigabot. We also stock high quality filament in a variety of colors for additional purchase. What types of filament can Gigabot use? 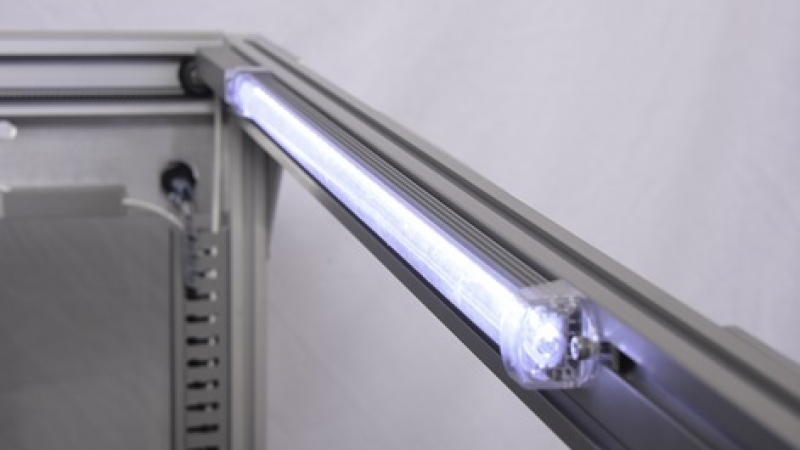 Gigabot (with heated bed turned on) accepts any thermoplastic that extrudes below 240C. Specifically, we have tested filaments such as PLA, ABS, Flexible, Nylon, or PET in 3mm. How much does filament cost? We offer 5lb spools of PLA goes for $95 USD. Can you use nylon for printing? Yes, but nylon requires a fibrous surface for it to stick to – a good one is fiberboard or Garolite. 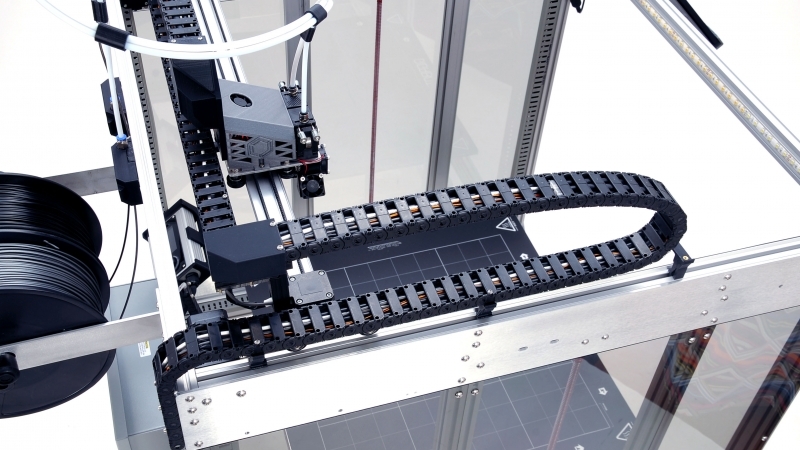 Is printing with poly-carbonate an option with Gigabot? Yes! 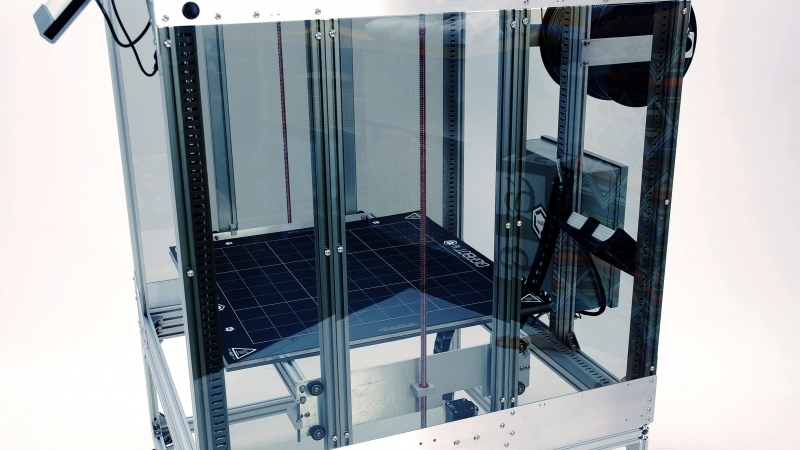 Gigabot can print with polycarbonate and re:3D engineers have developed printing settings in Simplify3D software. The high temperature required to print poly-carbonate will require a high-temperature hot-end and thermocouple, which is available using our custom re:3D All-Metal Hot-End. Gigabot is a modular design which easily accepts other hot-end options. How much does filament shrink with Gigabot? Shrinkage is a material dependent variable, independent of Gigabot. We have noticed that PLA shrinks a little bit. ABS shrinks more. ABS appears to lift or curl due to uncontrolled shrinkage. Other materials shrink less than PLA. Fortunately you can adjust calibration so your part comes out exact size you want it to. Any shrinkage is often small, it’s on the order of microns. If I used your filament to make a mold (ex; 3″W x 3″L x 2″H), how much pressure from a press could it take and at what temperatures? The filaments we use are listed below. We have not performed an destructive testing and cannot guarantee any particular mold shape or design to withstand a particular rated load. PLA – Glass Transition Temperature: 60-65 °C, Melting Temp: between 173-178 °C, and Tensile Strength: 2.7-16 GPa. ABS – Maximum Temperature: 176°F 80°C Minimum Temp: -4°F -20°C, Melting Temp: 221°F 105°C Tensile Strength: 4,300 psi. http://www.taulman3d.com/618-specifications.html Taulman 645 nylon -http://www.taulman3d.com/645-features.html Taulman T-glase PETT – http://www.taulman3d.com/news.html. How much time does it take to assemble the Gigabot parts kit? Current in-house assembly time is roughly 12 hours. We recommend that first time builders prepare for a week of assembly time. However, depending upon your mechanical aptitude and how many hands you have helping out the process could be completed in 12-20 hours. What is the most complex part to assemble in the Parts Kit? About how long does it take? The most important part is the z-axis and bed assembly. They need to be aligned, straight and level for optimal operations. New users usually require 2 hours to complete calibration. What is the calibration process for the Gigabot? How complex is it and what tools are needed? We will provide all the tools necessary to calibrate your Gigabot, as well as a host of video instructions on how to do so. You want you to take your time with this process, as it is crucial to the setup of any 3D printer. How do I print a 3D model? To 3D print on a plastic extrusion printer like Gigabot, 3D models in an .STL format must be ‘sliced’. This turns the 3D geometry of the .STL file into a series of commands (G-code) that break the model down into machine-readable lines of commands using an application like Simplify3D. How do I obtain a 3D model? To 3D print, you may use a prepared model from websites like Thingiverse, or create your own model via 123D Catch/Design, Google Sketchup, AutoCAD, or any of a variety of applications which output their models in a .STL file format. Slicing basically divides the 3D model into very thin, horizontal layers. The printer will then lay out plastic layer by layer starting at the bottom. The thickness of the layers can be set on the slicing engine, but it is usually between 0.1 and 0.4 mm. Why is the 1st layer important? Since the printer builds objects from the bottom up, the first layer of a print is very important. The first layer needs to stick well to the flat surface of the printer, so a flat base will give the model a solid start. Any overhang, or cantilever, shallower than about 45° cannot be printed without support material because the object will tend to sag. Support material can be easily calculated by slicing and automatically built by the printer. How do you control wall thickness? You can control wall thickness by under or over extrusion, and this variable is controlled through the Simplify3D UI on your computer. Do we need special software to convert our CAD models into a machine readable format? The process for converting a 3D CAD model is to export as a .STL file, process the .STL into G-code using a translator (simplify3D) program and then run the G-code on Gigabot to print your model. The entire software tool chain is available on our online store. Can you recommend a 3D scanner? We have used the Next Engine 3D Scanner to make prints on Gigabot. Our designer friends have found it to be a good scanner at a good price ($3000 USD). Social hosted video URL is empty.Social hosted video URL is empty. Do you have suggestions for engineering or UX improvements?